Oh, wait. Drifted into the wrong Scotsman there. I completely forgot this show existed. @hvymetal86: I’m following your lead. gonna find the torrent after I submit this. @JWebster: It was on www.demonoid.com If you need an invite cause registrations are closed, say so here and I can give you one. A totally under rated show. Aw man we never had great stuff like this on TV! I just saw a snippet on youtube, and wow I didn’t know they block the audio now if it’s copyrighted. How about you send me one. Please. JWebster doesn’t need it, he’s part of DP. I own all four season of this show. WOOT! @dieAntagonista: I clicked your name, went to your blog, got your email from there, and sent you one. 😀 Just be sure to read and follow the site rules. The email I sent it to you with is the same as my name on this site. @hvymetal86: Why thank you good sir, it is very much appreciated. I just got it. 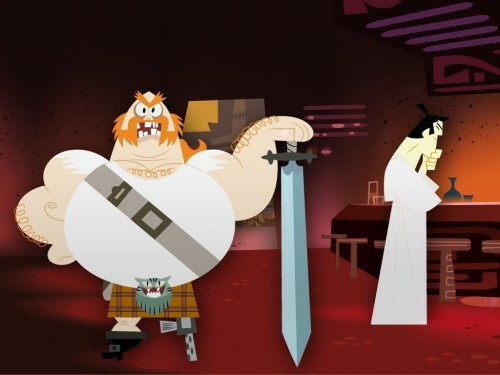 SAMURAI JACK HERE I COME. That show is freakin’ awesome. Don’t download it, buy the DVDs, it might make a comeback a la Family Guy (or at least have a movie that resolves the end of his story). @deuce: That’s what they said about Firefly.